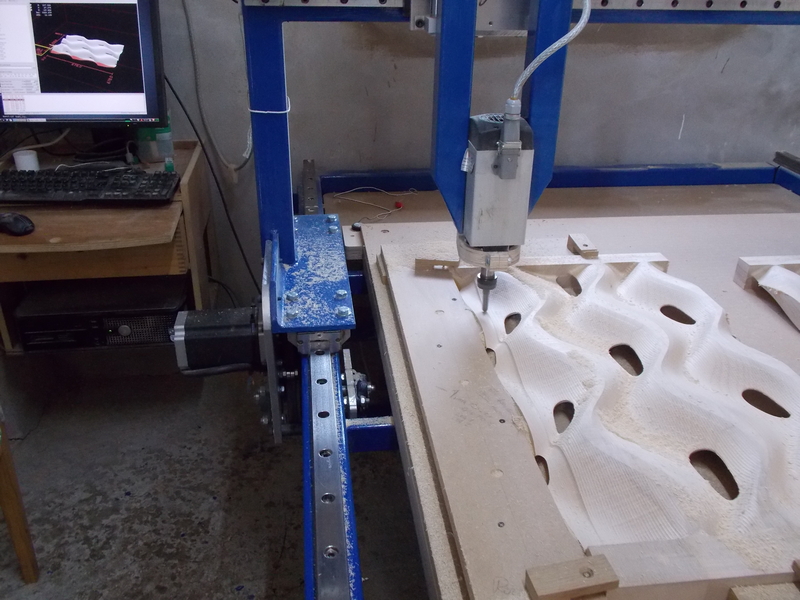 Over the summer I spent some time upgrading the CNC Router and finally finishing the large 3D Printer. The router is on it’s third iteration. It now has two stepper motors on the X axis, which will allow greater rapid speeds and acceleration and also make it easier to keep the gantry square, as each motor must now have it’s own home position. The z axis uses a ball-screw and nut, again for greater accuracy, and the touch off sensor makes for much easier tool changes. It took me a while to get to grips with the new methods of setting up a job but the machine is a far more capable than the old one. I am sure the hand forged feet have also made a difference to performance somehow. Much thanks goes to Dave Griffiths of [foam] kernow without whom I would probably still be struggling with the configuration files! machine that could print papier mache, however I think I should learn how to print with PLA first. 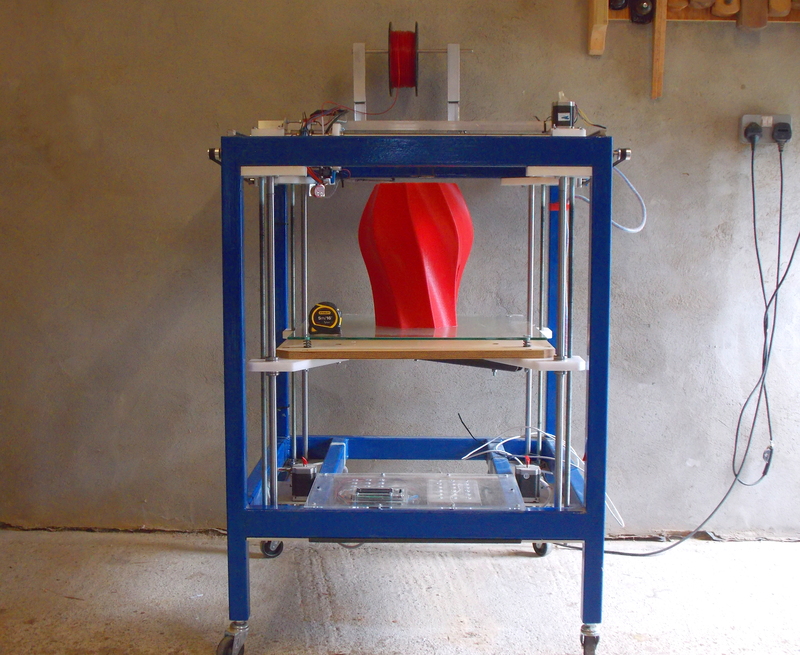 The first big print is a large lamp base 350mm high which took 12 hours to print.